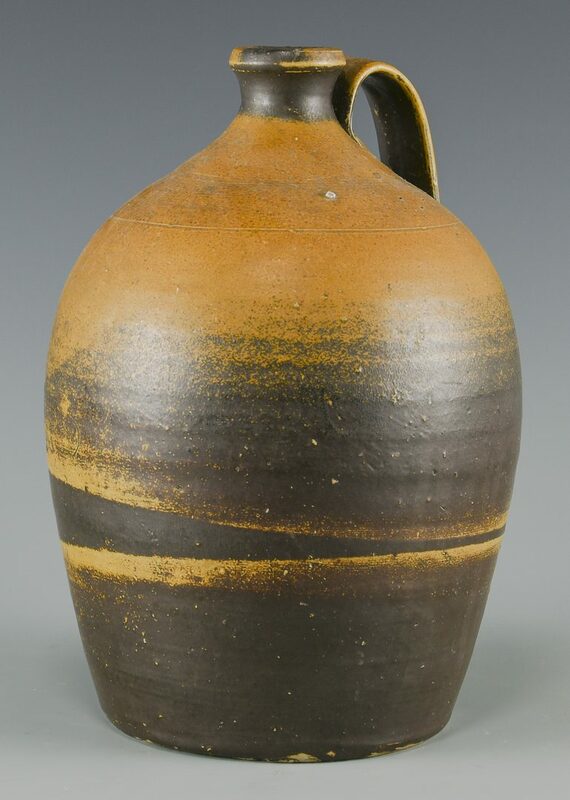 1st item: Middle TN stoneware honey jar with strap handle, mottled tan to brown transition glaze and incised line around the shoulder. 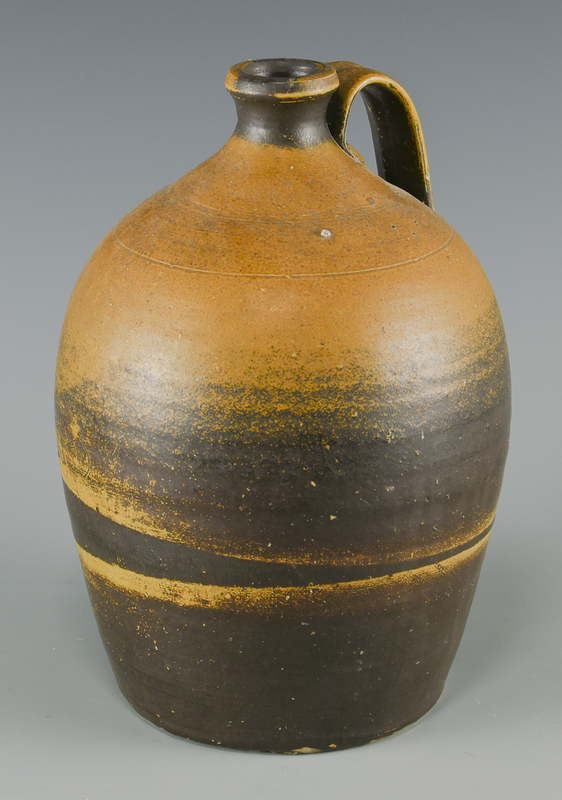 11" H. Late 19th/Early 20th century. 5.8 lbs. 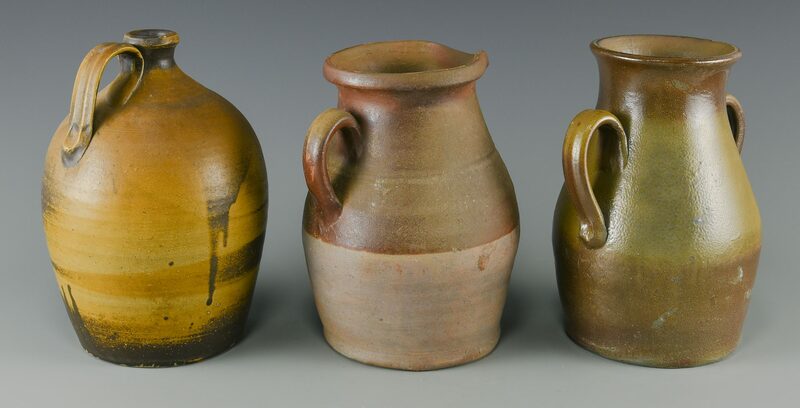 2nd item: Middle TN stoneware pitcher with pulled handle, dark brown to red brown to light brown transitional glaze with incised line around the upper shoulder. 10 1/2" H. Late 19th/Early 20th century. 6.5 lbs. 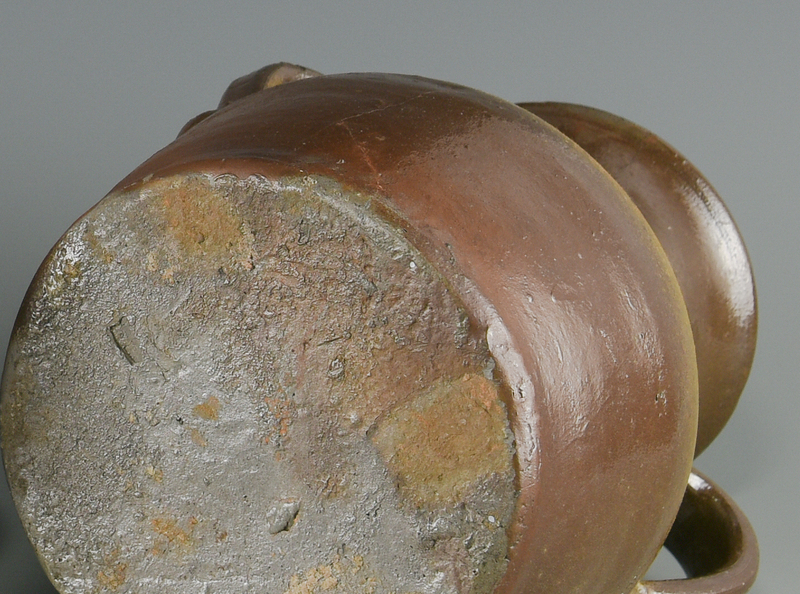 3rd item: Middle TN stoneware jar with two strap handles, slightly flared rim, and ovoid base. 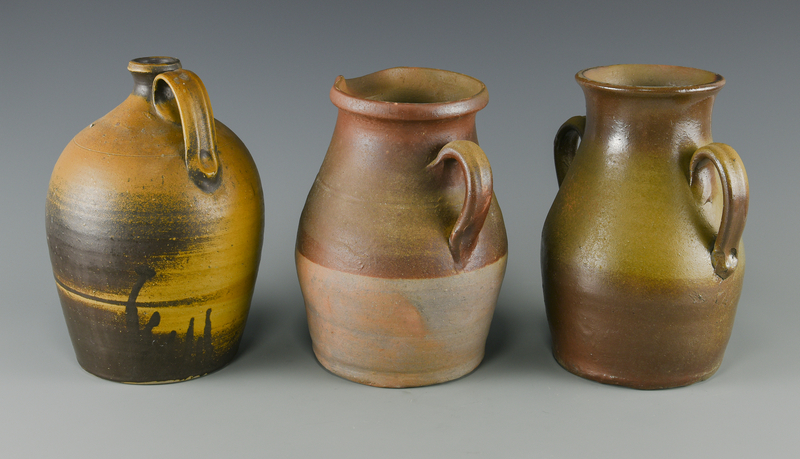 Green to brown transition glaze. 10 1/2" H. Late 19th/Early 20th century. 6.8 lbs. Provenance: Private Warren County, TN collection. CONDITION: 1st: Very good condition. 2nd: Minor wear at rim, otherwise good condition. 3rd: Hairline crack length of jar.